The Champions enjoy the moment. 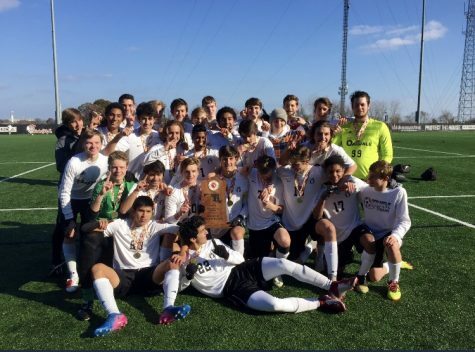 On Saturday, November 17, the Oakdale Boys’ Soccer Team won the state championship. For those who couldn’t make it, we watched it play out online or on social media. Here’s a recap for those who couldn’t be there. Riley Daiger scores first, helping Oakdale to the lead. 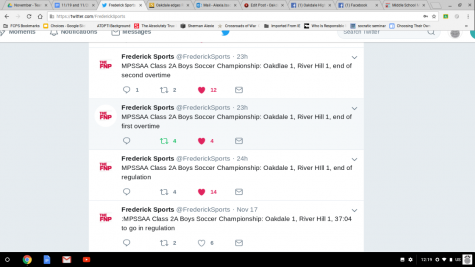 MPSSAA Class 2A Boys Soccer Championship: Oakdale 1, River Hill 0, 10:31 of the match. Riley Daiger scores on an assist from Sumangal Myers. Unfortunately, after the half, River Hill struck to tie the score, which remained until the end of double overtime. Very excited to be told that @OakdaleAthletic was awarded the 2018 @MPSSAA_Org State Soccer Tournament Sportsmanship Award!